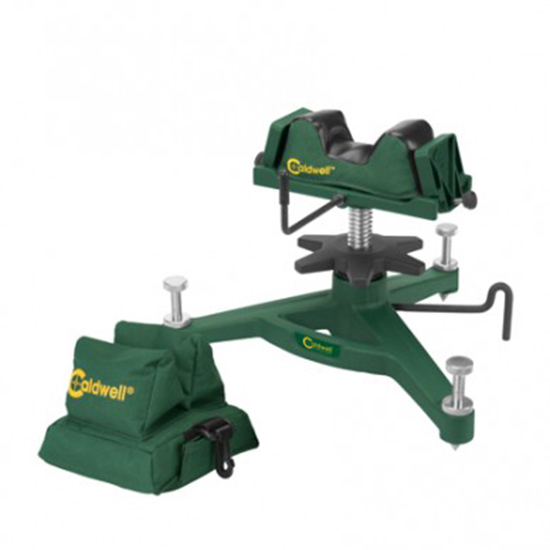 The Caldwell Rock Front Shooting Rest and Rear Bag Combo includes features that precision shooters have used for years to make their shooting quicker and easier. The best way to determine the accuracy of your rifle and ammunition is to shoot them from a solid bench with a quality shooting rest. The Rock Front Rest and Rear Bag combo is the right tool for the job. The Rock Rest helps eliminate the human factor" in shooting and the Rear Bag securely supports your rifle."